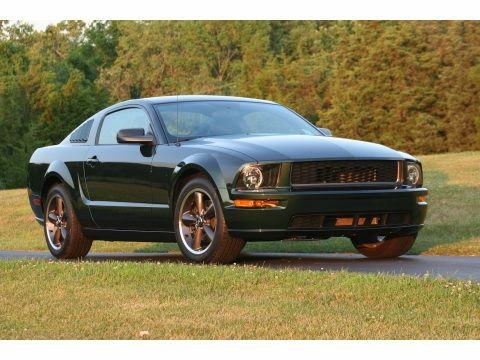 This limited edition 2008 Ford Mustang Bullitt in Highland Green was purchased off the showroom floor in August of '08, garage kept and mainly driven to car shows for the last four years. It's never seen rain, snow or even a night outside, this Bullitt has 6,312 miles and is ready for it's second owner. It's #4956 of the limited production run. The paint and interior are in showroom condition. Still has the new car smell! Leather is perfect. The pictures tell the story... I am an incurable car enthusiast and collector and I'm ready to make room for my next toy. It's equipped with the Shaker 500 audio system and HID headlamps. Add this great car to your collection or make it your daily driver, either way, you're essentially getting a 4 year old, new car. The only aftermarket part on it is the color matched louvers over the side rear windows. I'm motivated to sell the vehicle and I'm open to all offers. I dropped the price again as I'll need the room in the garage soon. You will not be disappointed with this car. Let's talk about making it yours. I have the title in hand.